You can spend hours scouring the internet looking for vintage sewing patterns. 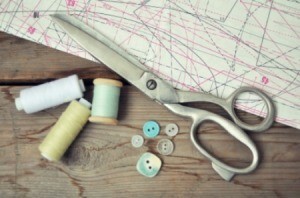 This is a guide about finding vintage sewing patterns. Is there anyone who would like to sell their old sewing patterns? I would really like to sew with patterns circa 1950 and earlier. Is there anyone who has old patterns they would be interested in selling to me? I would love to hear from you! I am interested in all kinds. I think I have seen vintage patterns offered on the different sewing pattern web sites, like simplicity.com and so on. Ebay at the above link, has many many vintage sewing patterns for sale. I don't have any but try AllFreeSewing.com & Yard & Garage sales, Consignment & Thrift shops. You never know what you'll find! I've found many things. Old & new in these places & at church sales too! Good luck. I am looking for a pattern for a bed jacket that is made from towels. I remember my sister doing them in scouts back in the 70s maybe. 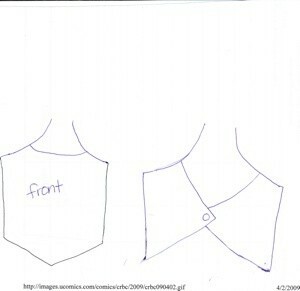 I had the cutest pattern for a shirt that was literally two pieces, a solid front and the matching pieces in the back. It had a single front and a back that buttoned at the meeting point. It was a very cute summer top, and I can't figure out where I can get another one. Does someone have the number and the manufacturer? I would love some help from my wonderful friends on TF! Thanks in advance. I had that pattern. There were shorts too, right? I may have tossed since it was from the 80's and I am no longer that size! But I will look when I get home and keep you posted either way.